In theory, annuity payments offer long term financial stability; however, life often does not operate according to the schedule of payments and sometimes it requires flexibility. Whether it is buying a house, a car, or paying bills – annuity payments may not meet needs. It is both possible and legal to sell annuity payments. The process is easy and anyone can do it easily with the right buyer. If you are experiencing stress due to an inability to access your funds now or you are missing out on good investment opportunities, you have options. There is no need to stick with the strict annuity schedule. You can get your money now in five simple steps and this article will tell you exactly what to do. It is important to know your options for selling annuity payments. If you have this information you can make the decision that is right for your needs. Work with the best to start selling your annuities today – contact the five star customer service team at DRB Capital today to get started. One of the biggest misconceptions regarding cashing in an annuity is that it requires selling all future payments. There are options for selling annuity payments and it is important to review them in order to choose the right one for your needs. The basic choice is whether to cash in some or all payments. A partial sale allows you to receive a lump sum of money for a portion of your annuity payments. Then after the period of annuity payments that you have sold passes, you will resume receiving the remaining periodic payments. There is also the option of selling your entire annuity contract, which will result in a larger payment. Sometimes annuity owners feel more secure selling only a portion of their annuity because they know they will still have payments which they can depend on in the future. Research Annuity Buyers – There are multiple options for selling annuity payments, so careful research is a must. Taking time in the process of researching your options is important. In a review of annuity buyers there is clear evidence that DRB Capital is a leading choice for many reasons. 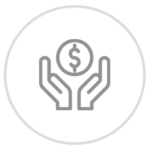 If you choose to work with DRB Capital you can trust that your financial needs will be met promptly and with great care and consideration. Receive Quote – Once you have chosen an annuity buyer, the next step is to request a quote. No quote is binding so you are not required to accept the quote. Smart consumers will carefully consider the transaction before proceeding. Complete Paperwork – To complete the transaction and receive your money, you need to fill basic paperwork. This will be provided by the buyer and they can support if you have any questions. Once the paperwork is finished, it is submitted to the annuity buyer. Standing Before the Judge – Court approval is required before you can cash out your payments. Presenting your case before the judge is not difficult, you will only need to offer a brief explanation of why you need to sell annuity payments. Receive Payment – After the judge approves the annuity transaction, the process for transferring funds will begin and you will receive your money. From start to finish the process typically takes between 45-60 days. Annuity buyers will help expedite the process but it is difficult to determine exact timelines. When financial issues arise, cashing out annuity is a sound option. But not all annuity buyers offer the same amounts, it is key to carefully research options to make a sound decision for your financial needs. This article will help increase your knowledge to understand the process. The discount rate determines how much cash you will receive in return for future payments. This rate depends on several factors, including the full amount of your annuity contract, the dates the payments are due, the number of payments that are due to you, and the amount of each payment. The higher the discount rate percentage, the less money you will receive out of your full annuity contract. This is the reason you must compare quotes to ensure you are getting a fair discount rate. DRB Capital offers one of the fairest discount rates in the industry. It is important to work with a firm who will share this information with you. The entire transaction should be as transparent as possible. You are entitled to information regarding the discount rate. If the rate is too high, consider comparison shopping until you find a better rate that puts more money in your pocket. Make sure you are not rushing the process as that could end up costing you money. For those who need immediate money, there are benefits to selling an annuity. Understanding the benefits and costs is instrumental in making the right decision. Instead of being forced to wait years, will receive your money within a matter of weeks. Ability to immediately pay off debts and reduce financial stress. Possibility to make a big purchase like a new home or car. Pay for your own or your child’s education. Invest money for a higher interest yield. Reduce financial security if selling entire annuity contract. Possibility of making bad financial decisions with the funds received. Although most people determine the benefits of selling their annuity payments far outweigh the costs, both should be considered when making a choice. The more you weigh the positives and negatives, the better equipped you will be to decide. People often have a wide range of questions when it comes to selling an annuity contract for a lump sum of money. It is understandable you may feel apprehensive, but the best way to counteract that is with information. Keep reading to understand how simple the process is and how to get the best offer possible. Is there a difference between a structured settlement and an annuity? There is often a great deal of confusion when it comes to differentiating between these two. While both are financial tools, they are not the same. The main difference between the two is an annuity is purchased while a structured settlement is awarded as a result of legal proceedings. Are there advantages to owning annuity contracts? Purchasing an annuity allows you to invest your money while delaying tax obligations – no need to pay taxes right away. There is also no annual limit on the amount or number of contributions. When your money is invested into an annuity, the amount compounds each year and the result is a greater financial return compared to other investment options. Can an annuity be sold? Selling your annuity is completely possible. In fact, it is relatively easy as well. Selling offers the ability to receive cash sooner. As it is a legal process, a judge must approve the transaction. Companies like DRB Capital will purchase all or part of your annuity contract, giving you the money you need quickly. You have the legal right to cash in your annuity payments to any third-party, but a judge must approve the transaction. Although the lump sum payment will be less than the full value of the annuity contract, you will receive your money to meet your current needs. Why does a judge need to approve the sale? You might wonder why a judge is concerned in selling annuity payments, but there is a reason for this legal process. Although going to court is intimidating, it is a step to ensure that all consumer rights are protected during the process. The laws requiring judge approval were put into place to protect individuals selling annuities to ensure they are not agreeing to an unfair deal. How much money will you get for selling your annuity? One of the most common questions people have revolves around how much money they can expect. It is natural to ask about this amount to make a determination about whether selling is the right choice. The amount you receive will be provided once you request a quote. Not all buyers are equal – and the offer will depend on the buyer’s discount rate. Which companies purchase annuity payments? DRB Capital is a favorite of many consumers due to offering fair discount rates. We have found them to be the most dedicated to the happiness of their customers as they work to handle each transaction with the utmost level of professionalism. Although you have many choices so it is wise to research carefully. Remember: you will not be able to receive the full value of your annuity contract but will receive a lump sum that depends on the buyer’s offered discount rate. Now that you are aware of the process and options for making a decision on whether or not to sell your annuity payments, you can make the best decision for your immediate and future financial needs. DRB Capital offers one of the fairest discount rates in the industry. They are available to answer any questions you have and will work to get you your money in an expedient manner. Call them now to get a free quote.